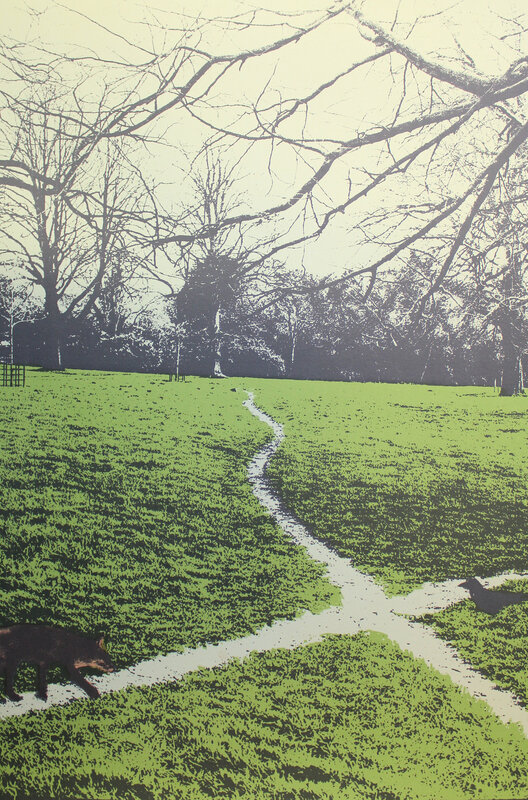 The Screen prints ‘Egress’ and ‘Fable’ are from a series based on Garland’s interest in the literary and visual traditions of using animals as metaphors for human society. In Aesop’s Fables the fox is frequently depicted as being at odds with human efforts to order the environment and to exclude those not part of the consensus. The fox abides close-by on the margins, despite its lack of a recognised useful identity or permission to access our controlled spaces. 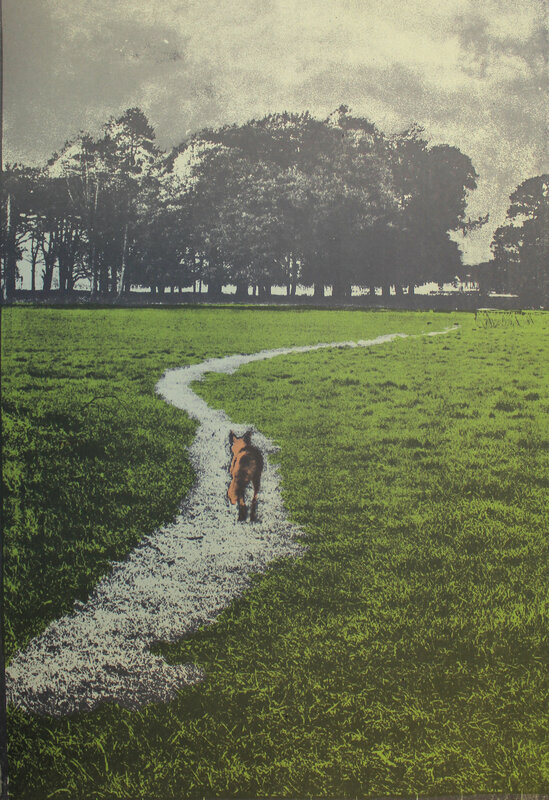 The prints began as black and white photographs shot in the Phoenix Park and arrived at their present form via the darkroom work which is an important part of Garland’s process. Jane Garland was born in Dublin and studied Printmaking at the National College of Art and Design, Dublin and the Slade School of Fine Art, London. She is a member of the Black Church Print studio and works mainly in the area of photographic screenprint. Her work has been selected for several group shows in Ireland, including RHA Annual exhibitions and the Irish Exhibition of Living Art. She has also been selected for exhibitions in Britain including group shows at the Barbican, the Mall Galleries, the Curwen Gallery and the Bradford International print Exhibition.